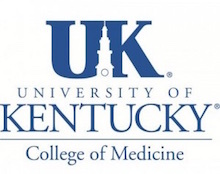 The University of Kentucky Medical Center offers a one-year fellowship in surgical pathology. The Division accessions over 28,000 cases per year and performs more than 3,500 frozen sections. A variety of consult cases are handled by the department. A high proportion of surgical accessions are related to the diagnosis and staging of neoplasms and specialized experiences are available in breast, pulmonary, cardiac, gastrointestinal, head and neck, bone and soft tissue, renal, neuro, gynecologic and uropathology. 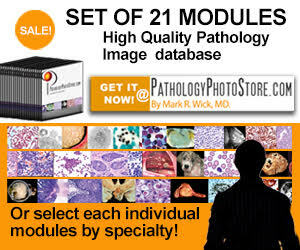 The program includes 9 months of surgical pathology and 3 months of electives. Approximately one month of vacation/travel is included. The fellowship is open to individuals who are board-eligible or certified in Anatomic Pathology or Anatomic & Clinical Pathology. Description: The University of Louisville Division of Forensic Pathology, in conjunction with the Kentucky Office of the Chief Medical Examiner (KY OCME), offers a unique educational opportunity during a 12-month ACGME-accredited fellowship program in Forensic Pathology. The NAME-accredited KY OCME is staffed by six full-time, board-certified forensic pathologists, all of whom actively participate in the training of the forensic fellow. The office performs approximately 1200 cases per year from both urban and rural areas, encompassing 40 counties. The fellow is thus afforded with the opportunity to participate in a wide variety of cases, including cases unique to rural settings, such as farming, hunting, and mining fatalities. Located in one of the country's largest metropolitan areas, the KY OCME also conducts many cases associated with urban areas. Ample opportunity is provided for attendance at death scenes. Regularly scheduled didactics include monthly Journal Clubs, monthly Check Sample reviews, and bi-monthly forensic topic discussions with faculty. Fellows are provided private office space and ample educational materials, including standard texts and microscopic glass slide teaching files. The fellow is given time and funds to attend a two week homicide seminar and one national meeting (either NAME or AAFS). Additional offsite rotations include a forensic toxicology laboratory, forensic anthropology course, and the Kentucky State Police Crime Laboratory. The fellow participates in the courtroom experience, first by accompanying the attending physician to court, and later in the year, by giving sworn testimony in the cases that the fellow has participated. Requirements: Successful completion of an ACGME-accredited residency in Anatomic Pathology or Anatomic and Clinical Pathology. Applications: To include U of L application form (available by request) or CAP common application, CV, medical school transcript, documentation of USMLE scores, and three letters of recommendation.